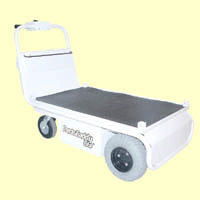 Battery-powered self propelled cart prevents physical strain and pain associated with pushing, pulling or lifting heavy equipment, materials and parts. 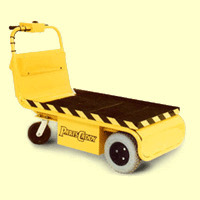 Helps you move materials faster and more efficiently. Custom platform sizes and tops are availabe - Please call ZORIN for details & pricing.